Mizuno softball bats are some of the most underrated in the game, without a doubt. With over 100 years of experience in creating high-performing sporting goods equipment, Mizuno has a passion unlike any other in the industry. For the 2018 season, they have exceeded expectations, yet again, with the release of the Ghost fastpitch series! As a two-piece, fully composite softball bat, the Ghost is ready to scare away the competition. Mizuno uses their Black Onyx Barrel combined with the Power Ring Technology to help create hot out of the wrapper performance with zero break-in swings required. You can take this model out of the box directly to the diamond without the worry of poor performance. The Black Onyx Barrel is connected to the stiff carbon composite handle via the 2-Piece LINK which significantly reduces sting in the hands while providing an unbelievably smooth feel on contact, regardless of where you hit the barrel. As if it didn't sound exceptional already, the stiff carbon handle helps reduce energy loss during fast pitch speeds to put more energy where it belongs (the ball) and less where it doesn't (your hands). Mizuno: Driven By Athletes. Crafted To Win! This Mizuno Ghost Fastpitch Softball Bat (FP18GHST10) features a standard 2 1/4-inch barrel diameter, a drop 10 length to weight ratio, and a balanced swing weight that is recommended for both contact hitters and power hitters. 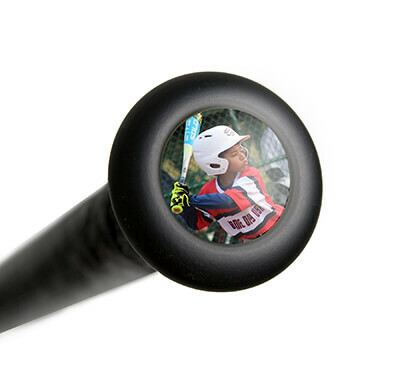 With a variety of different certifications, this model is approved for play in ASA, USSSA, NSA, ISA, and ISF. Haunt every pitcher at the plate and buy one of these Mizuno softball bats today with free shipping and a full twelve (12) month manufacturer's warranty. Remember, we're here for you from click to hit! Have a question about the 2018 Mizuno Ghost -10 Fastpitch Softball Bat: FP18GHST10? Ask our team of experts and they will respond within 24 hours. Is the Ghost a double wall or single wall barrel composite? The 2018 Mizuno Ghost -10 Fastpitch Softball Bat: FP18GHST10 will be a single wall composite. Where are Mizuno bats made? The 2018 Mizuno Ghost -10 Fastpitch Softball Bat: FP18GHST10 is made in China. Is this legal for USSSA use? This 2018 Mizuno Ghost -10 Fastpitch Softball Bat: FP18GHST10 is approved for USSSA, ASA, NSA, ISA, and ISF softball. What is the coldest temperature this bat can be used? One would ideally want to use the 2018 Mizuno Ghost -10 Fastpitch Softball Bat: FP18GHST10 in temperatures that exceed 70 degrees Fahrenheit but one can use this bat in colder weather. Is the ghost manufactured in a 33" and a -11? Unfortunately, the 2018 Mizuno Ghost -10 Fastpitch Softball Bat: FP18GHST10 is the only model in the 2018 line and therefore there is not a -11 that has been manufactured. 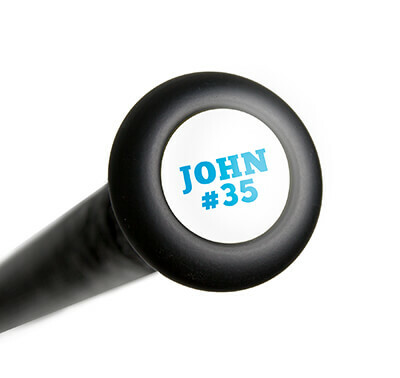 However, this bat is made in a 33" size but we no longer have any more available. Is the all gray Ghost bat without USSSA thumbprint legal in USSSA play for this season? Unfortunately you would not be able to use a non-certified USSSA bat in a USSSA league. The 2018 Mizuno Ghost -10 Fastpitch Softball Bat: FP18GHST10 would be legal as it is USSSA certified.